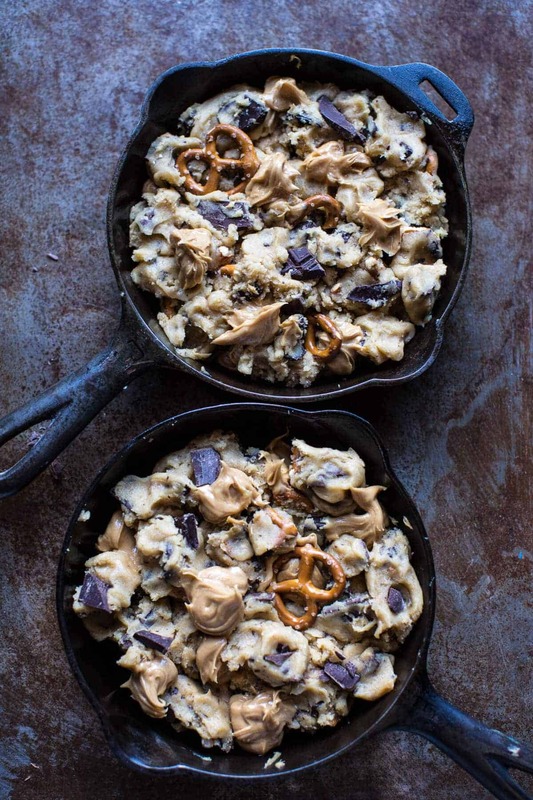 Secret Ingredient Peanut Butter Stuffed Chocolate Chip Skillet Cookie. 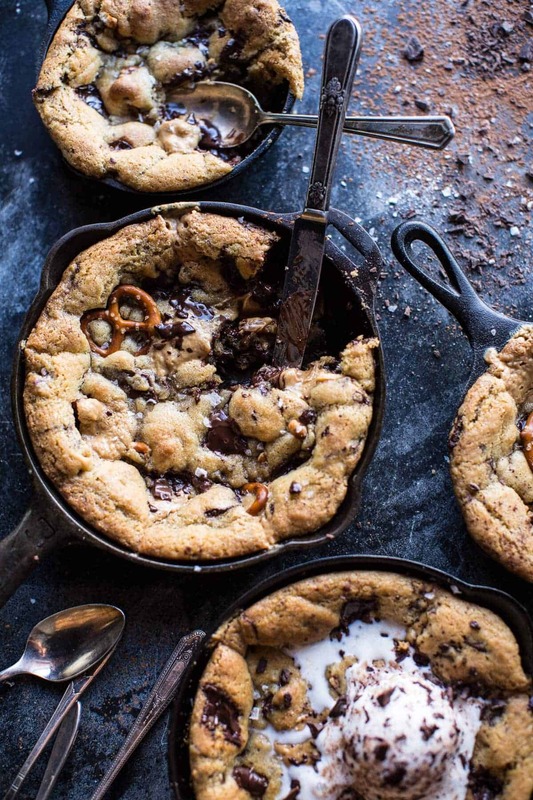 Who could resist a warm chocolate chip cookie served in a cute little skillet? With a super special secret ingredient, and so many perfect chunks of chocolate, plus swirls of yummy peanut butter (totally serious right now), honestly, who could resist? After a whole months of extra healthy (but still delicious, indulgent and satisfying) desserts you guys knew something like this HAD to be coming. I mean, I just really needed a real deal cookie in my life. After a month apart, it was time… you know? OK, so I just lied a little. I totally did not go through all of January without cookies, but I blame it all on Asher, she MADE me make her cookie dough, and you didn’t really think I could resist some cookie dough + milk with the little sis now did you? I have discipline… but not that much. SIDE NOTE: my cousin just sent me a snapchat of her eating seaweed snacks…my response was SIMPLE. 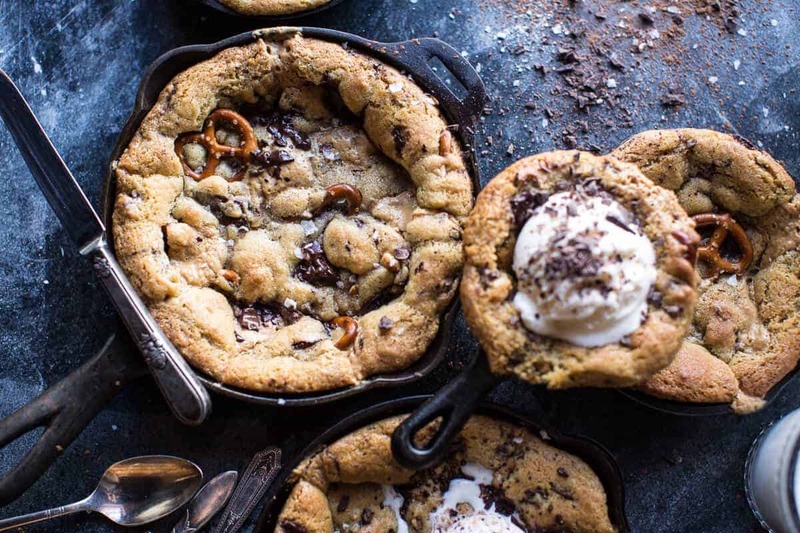 Girl, you need to come eat my skillet cookies (picture included)! Duh. Wait, can I just tell you the sweetest thing that Asher did the other day? I really just have to, so if you are simply looking for the recipe please scroll down, otherwise prepare to have you hearts melt. So you guys remember last week how I spent many, many one on one hours with Asher? We did the spa day, the playground (times three), the grocery, made pottery, watched countless hours of Harry Potter and made all the cookies you can dream of. It was fun sister time, and even though she is 15 years younger we can still have a good time, which I think is pretty awesome, and apparently so does she. She came over on Sunday and handed me a note. Oh this note, I read it and all my worries went away. It is short (she’s only in 1st grade), so I will share it with you guys. You are the best sister ever. I love you so so much. Thank you for taking me to the spa and the play ground and for the heart shaped cookies. She wrote it herself without even telling anyone what she was doing and walked herself over to my house to give it me. It’s even better if you actually see her hand written note, because one, her hand writing is the cutest ever, and two, she drew little hearts and smiley faces all over the page. I mean, really? Saving this for all my life cause someday when she is a teen and hating me, I will SO be sticking this right in her face to remind her who took cake of her when she was little. Sister stuff, I never thought I would be one to love sister stuff, but now that I have a sister, I LOVE it. Brothers are awesome too (in their own way), but it’s just not the same. Cookies though, warm, gooey, secret ingredient, peanut butter stuffed chocolate chip skillet cookies. First off, let me just say that these cookies are beyond incredible. They are simple, full of chocolate and delicious swirls of peanut butter, AND they even have some salty pretzels chunks (if you are into that, which clearly I am). It’s basically my ultimate cookie. Second, let me reveal the secret ingredient. This may sound really strange, but you guys, just think about it, try it, and prepare to be amazed. The secret ingredient is white miso paste, YES, miso paste. I know it’s odd, but miso paste is a great ingredient to use in both sweet and savory dishes. For example, these cookies! The miso paste adds a saltiness that makes you think, “hmm, what is that? It’s so delicious, but I can’t figure out what it is”. The saltiness pairs SO well with the sweetness of the cookie and the luscious chocolate chunks. Seriously, just try it!! Plus miso is so good for you, just check out this link if you’re looking for info on the health benefits of miso. I know you will soon be in love, and adding a little miso paste to all you cookies from here on out. I know I am! As are skillet cookies in general. I mean, any cookie that you can just take a spoon to and eat hot, is my kind of cookie. But a cookie that has peanut butter and pretzels in it too?? I used a bunch of mini skillets for my cookies, but if you do not have a slew of mini skillets just lying around your kitchen, this recipe also works for a 10-12 inch cast iron skillet. And if you don’t have a cast iron skillet just divide the dough between cake pans. SO NO excuses to not make these, Mmmmm, k?!? Lastly, I have to say that I made these with the Super Bowl in mind, but then realized that they are not only amazing for the Super Bowl, which is um, THIS SUNDAY (if you need ideas on what to make, check out these cheesesteaks, these cauliflower buffalo bits, this pizza dip and these wing OR this post full of Super Bowl eats), but are equally perfect for Valentine’s Day!! How romantic is that? What could be better than sharing a warm, gooey chocolate dessert?? Single? …keep it all for yourself!! Yup. I am ALL in on that. Preheat the oven to 350 degrees F. Grease one 10-12 inch skillet OR 4-6 smaller skillets. Combine the flour, baking soda and salt (if using) in a small bowl. Beat the butter, granulated sugar, brown sugar, vanilla and miso in large mixer bowl until creamy, about 3 to 5 minutes. Add the eggs and beat well until combined. Gradually beat in the flour mixture. Stir in the chocolate chips and pretzels. In a small bowl, mix together the peanut butter, 1 teaspoon vanilla and a pinch of salt. Spread half the cookie dough into your prepared skillet or skillets. Dollop the peanut butter onto the cookie dough in rounder teaspoons. Now place the remaining cookie dough gently over the peanut butter. Place the skillet or skillets on a cookie sheet. Bake on the middle rack in the oven for 20-25 minutes for a large skillet, and 12-15 minutes for smaller skillets. It's very important to not over bake the skillet cookie, these are best eaten when the center is a little underdone. Remove from the oven and let cool 3-5 minutes...then DIG in. No plates required, just grab some spoons. If you like, add a scoop of ice cream, and/or a sprinkle of flaky sea salt. YUM. 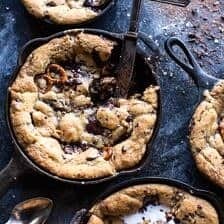 Peanut Butter Stuffed Chocolate Chip Skillet Cookies – demolished! would have never thought about adding miso!! but i could see how it’d work- with that salty chocolate chip cookie vibe going on, plus the toasty, almost savory pb. 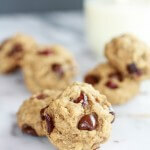 will have to try miso chocolate chip cookies side by side with a batch of traditional ones! Pretzellllllssss. YES. And i will take swirls of peanut butter any day. That is so cute that your sister wrote you a note! Keep it! Thank you so much, Karen! Have a great weekend! Hum…miso interesting…I might just give it a try. I would offer a suggestion of framing the note & placing it somewhere special. Thanks Debbie! Have a great weekend! Sharing is really not important here…lol! Thank you so much, Maya! Have a great weekend! Now I know what to do with my leftover miso paste…..never in a million years would I have thought to add it to cookies! Yay Tieghan! Thank you for sharing. Yum!!! 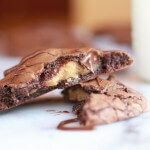 These skillet chocolate chip peanut butter cookies look amazing!! I just got two cast iron skillets a couple weeks ago and love them. I think I know what my next dessert will be! 😉 And that is such a sweet letter from Asher. You’re a great big sister. My sister is 11 years older than me and my brother is 13 years older, so I know all about being the little sister like Asher and having a fun big sis! Thank you so much, Joy!! Have a great weekend! Give it a try, it is the best!! hehe! Thank you so much, Rebecca! Have a great weekend! I wish I had skillets 🙁 I can’t make these, which is so sad because I love the way these cookies look! As soon as I saw the pretzels tucked into those cookies, I was in! And I love the miso paste idea. 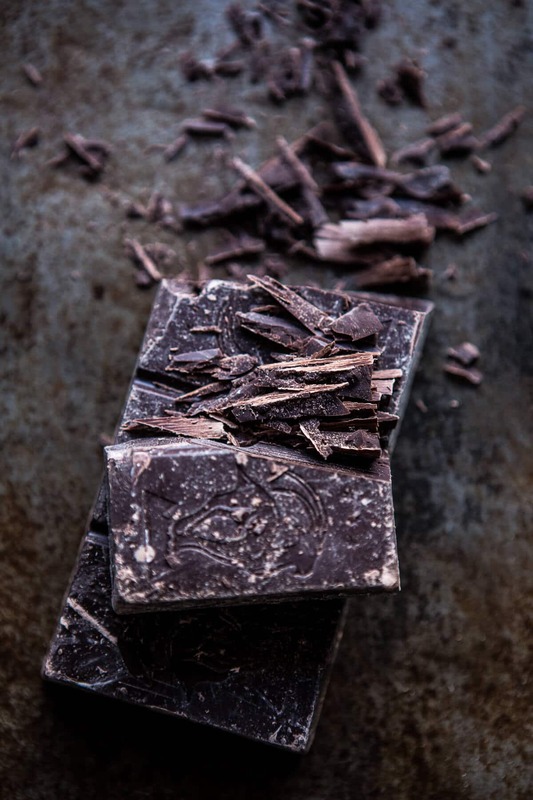 Anything to add to that sweet/salty contrast is just the BEST! Also, that note from Asher is the cutest thing EVER. You are one lucky sister 🙂 And from the sound of it, so is she! haha! Thank you! Hope you have the best weekend!! I can’t get over the fact that these have pretzels in them! Yum!!! hehe! Thank you so much! Have a great weekend! I have been wanting to make skilled cakes and cookies for a while and this is just amazing with the pretzels and peanut butter, so so good. Thanks Asha! Have a great weekend! OMW !!! These sound like the best….. I must go and buy some miso paste !!!!! I think this will be my meal on Game Day! Oh this looks crazy good!!! Wow and that miso paste? What a surprise element. Can you believe I don’t own a skillet. A perfect reason to run out and go buy one, don’t you think?! These look so good and I’m planning to make them tonight! What’s the difference between vanilla extract and the vanilla the recipe calls for? Want to make sure they are just as delicious as they look. Thanks! That is such a cute story, I work with kids and sometimes they just make me want to cry with how honest and sweet they are. And these cookies! OMG. They look amazing. I never would have thought about miso paste in cookies, I need to try these someday! Stuffed cookies like this make my heart sing! 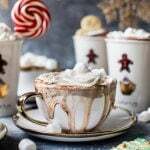 Gorgeous recipe!! YUM. 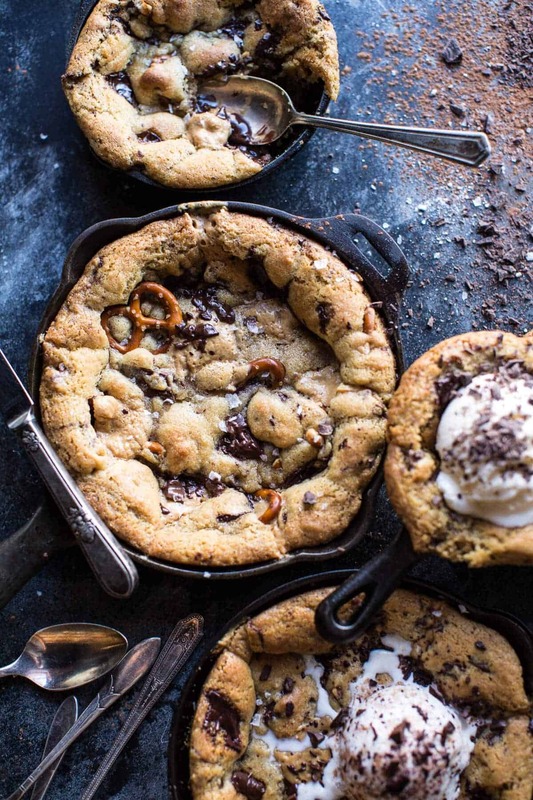 I looooove a skillet cookie – this one looks divine. I love that you used miso, too! What a great idea. I’ll be making these soon! This is the first time I have ever wanted to smush my face into a cookie because it looks just so damn good. I thought the secret ingredient was going to be Pretzels! You sure surprised me with the miso addition. It is super brilliant! I have blended equal parts of white miso and butter to toss with roasted veg’s with great success……but this! Thanks for expanding my foodie horizons. Ohmygoodness! This is AMAZING! I am making this today, I’ve only got the dough done so far, and I can’t stop eating it!! I used those peanut butter filled pretzels instead of the normal twists, and I am in love. They shatter, and leave crispy pretzel shards throughout. I also used a bar of belgian dark chocolate and chopped it up in place of the chocolate chips. Mind blown. Thank you so much for this recipe!!! P.S. love the PB pretzels! My sister made this for our superbowl party yesterday WITH the Miso paste and it was AMAZING!! We served it warm out of the oven with ice cream and everyone was raving about it! Thanks!! 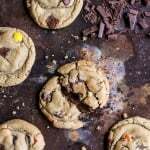 You’ve given me some serious cookie cravings… and I just so happen to have a set of mini skillets that don’t get anywhere near enough use….cookies are totally the way to rectify that! These look amazingly delicious!! And your sister sounds so sweet. I think having an age difference like that is so neat. Doesn’t happen too often. 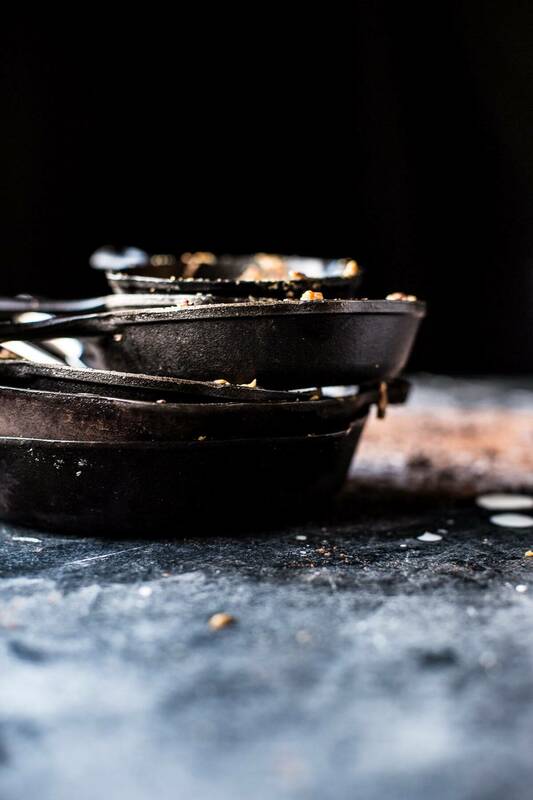 These look so good and I love the photo at the end of the stacked skillets. I really don’t need an excuse to eat more cookies or a giant one all to myself, however for research purposes I think these need to be made! I am just in awe over here. These cookies look amazing! And the pre-baked photo. I would have to snag one of those to do some quality control before the oven. I baked these for my husband and kids for Valentine’s Day dessert. 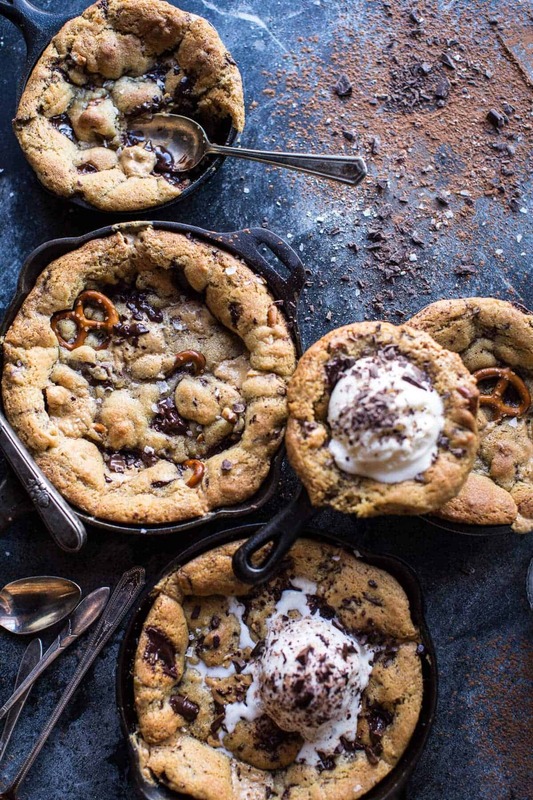 Nothing says “I love you!” like warm, gooey cookies in a skillet, topped with ice cream. Ridiculously delicious! Thanks!! 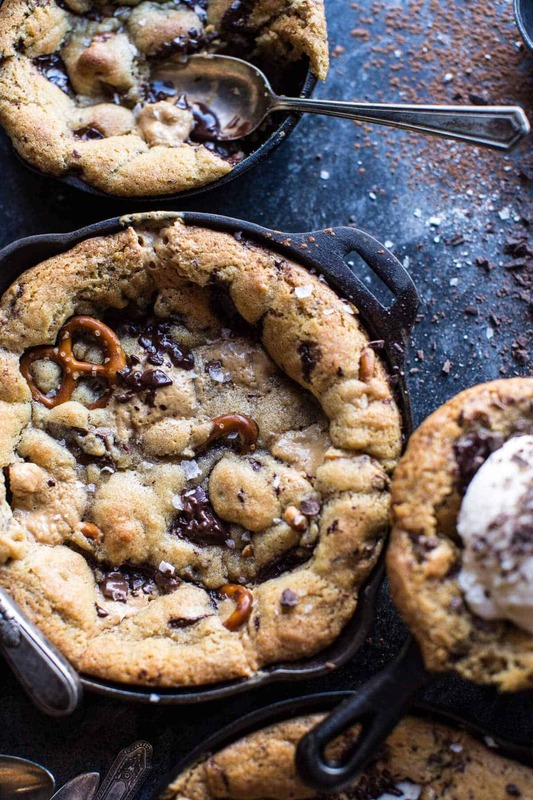 These look like warm, gooey, salty-sweet, chocolate chip cookie heaven!! With ice cream and a generous drizzle of salted caramel sauce, I bet these are just over the top amazing. They may just have to make an appearance at the next movie night/girls’ night-in 🙂 Thanks for the recipe!! These look absolutely delicious! I am 15 years older than my sister and we are the only 2 children. Although we are “many” years older than you and your sister we still enjoy being together and love each other very much. Sharing this dessert will be just what we need for a sugar rush to give us some energy – well that’s a good excuse anyway. Can’t wait to try them. My grandchildren and their mom and dad will love them. For their dad, who is allergic to chocolate (have mercy) I will try one with white chocolate. (I don’t have the mini cast iron skillets. Have always wanted them and now they are a must because I can predict this recipe is going to be a repeater.) Thanks for sharing keep up the good work. SO GOOD! I just made this and they were the best. I needed to have an epic cookie today so I discarded my usual gluten-free version and went scouring the web for an ultimate cookie! I knew as soon as I found yours that it would be perfect. All of your recipes always turn out so great!! I can’t wait for your cookbook. P.S. for anyone looking to make a smaller batch of these I halved the recipe and filled two 6″ skillets and it worked perfectly. I also omitted the pretzels and peanut butter because I wanted a more standard cookie flavor and it was excellent. SO happy you liked them!! Thank you so so much!! Made this day after Thanksgiving & was amazing. The kids loved it. Actually had the miso paste from another recipe of yours. Really great recipe! Will make again!! Awh how awesome!! So happy you guys liked it!! Any substitutes for miso paste? I have checked everywhere in my small town and can’t find it 🙁 Making these for a work party tonight! yummm. made this last night. the combination of your enthusiasm, your beautiful photography, and the amazing recipes, has got me hooked on halfbakedharvest … and many recipes that i see once then proceed to haunt me until i make them!! made the giant cookie last night. reduced the sugar a bit and did 4/5 light whole wheat flour and 1/5 chick pea flour (can’t taste it) … it’s that famous bean-grain mixing that is so beneficial for vegetarians needing full proteins and also adds more fiber to it all. thanks so much for sharing this – i don’t think i ever would have made such a rich and decadent thing but i am not regretting it. it even provided the opportunity for a great neighborly gesture, as half the skillet was plennnty for me and my girls … after than we passed it off to the neighbors! yum yum yum. Well I am super happy that you love my blog, Izzy!! Thank you so much! & Loving that you shared this with your neighbors.. so sweet!! What size are your mini skillets?